Hot zinc-plated profiles used for idle and driven roller conveyor applications. All hot zinc-plated (sendzimir), these profiles are generally employed in spring-loaded or internally threaded shaft idler roller conveyor applications. The PR U50 type are ideal for conveyor systems with multiple rows or as roller side frames. All the profiles are cut to obtain the first hole with a 13 mm pitch from the end, consequently “L” length values are merely nominal. 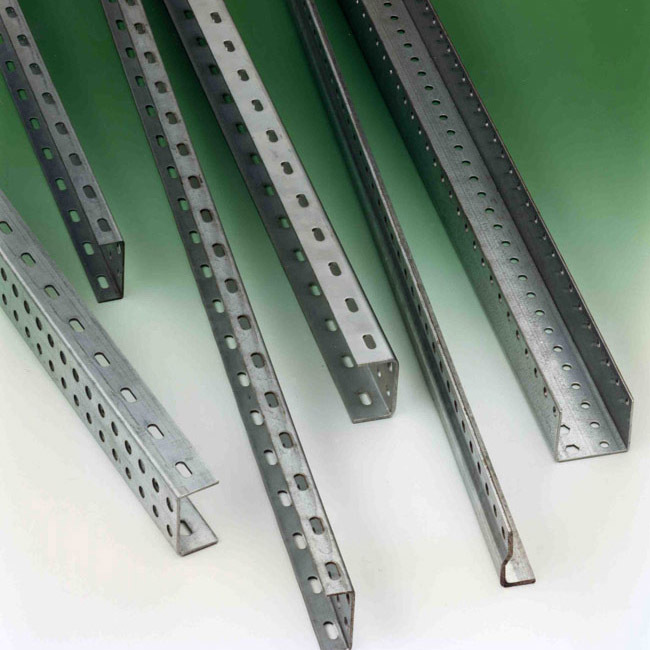 The CP1 and CP2 profiles can be supplied in a rough or in a galvanised version. Combined with the P5 and P6 profiles, grey PVC cover strip and black Polyethylene end caps. They are particularly suited to build conveyors with motorized and friction rollers series 135 and 138, with tangential chain or belt transmission. All the profiles are cut to obtain the first hole with a 13 mm pitch from the end, consequently “L” length values are merely nominal.